On 29th of December 2013, our plane touched down at Adisucipto Airport. This was not my first time in Indonesia. 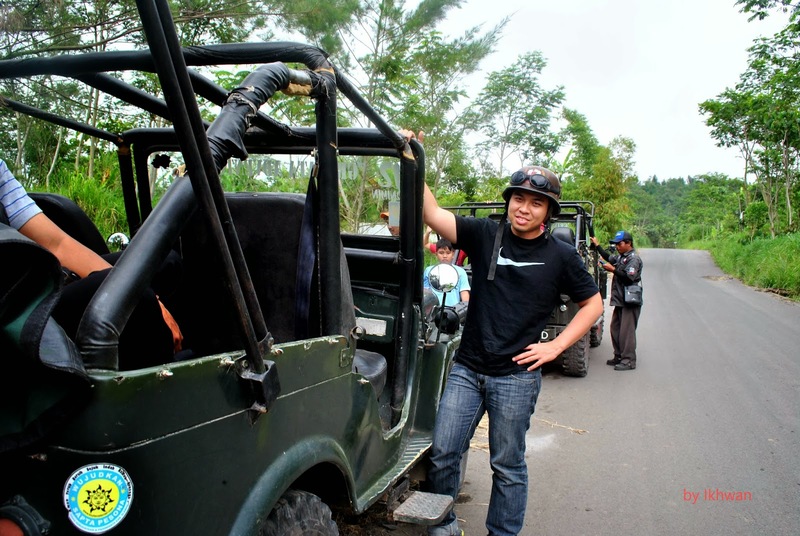 I went to Jakarta and Bandung in 2008 with my parents and relatives. However, the plan for this trip was for me to cover the other side of Java Island. Our Sopir (driver), Roy Marpaung was already waiting for us. From his look, I was sure he did not expect two guys with strong personalities. He would have to stay and face us for 10 days. We arrived in the afternoon, so we did not have much time left to go around the city. We headed straight to Tulip Hotel which we had book in advanced through Agoda. It was a decent inn and not that far from city center. 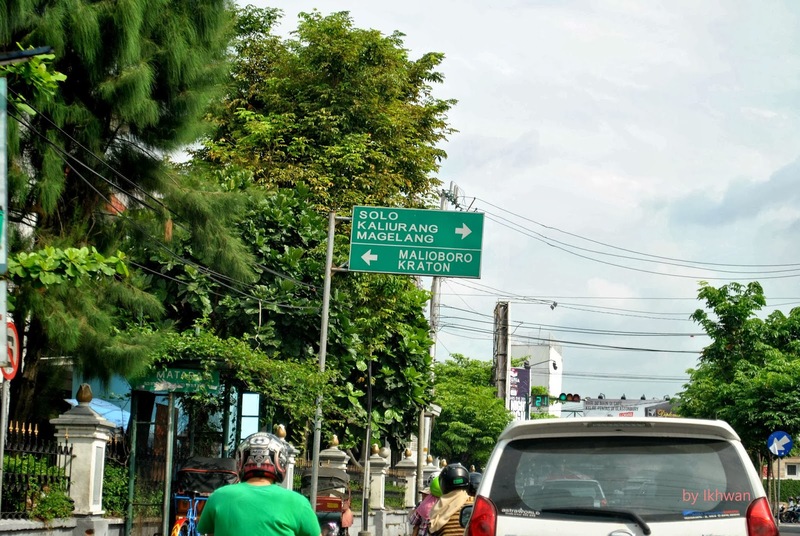 With excitement still fresh in our mind, we went to Malioboro. 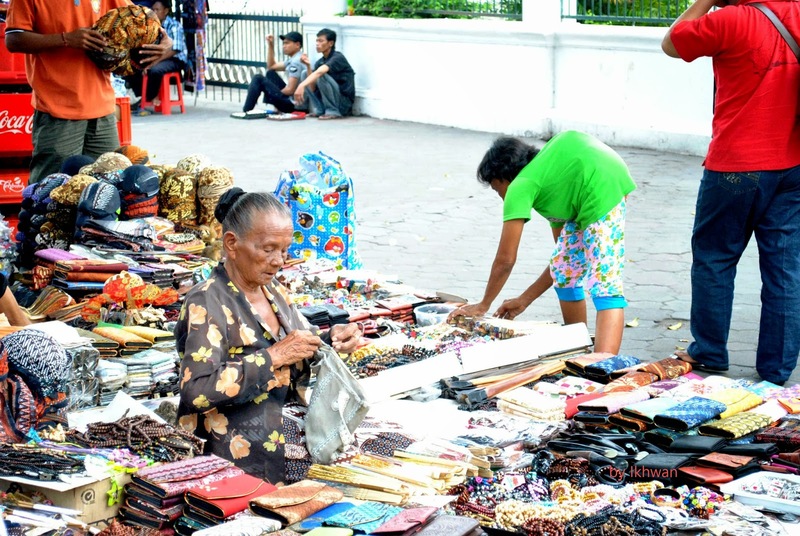 Malioboro is located at the city center and there are many shops that sell souvenirs, paintings and t-shirts along the main road. Besides the shops, the horse carriage lined up along the street. The adventure actually began the next day. We visited few places which include Kraton Yogyakarta. 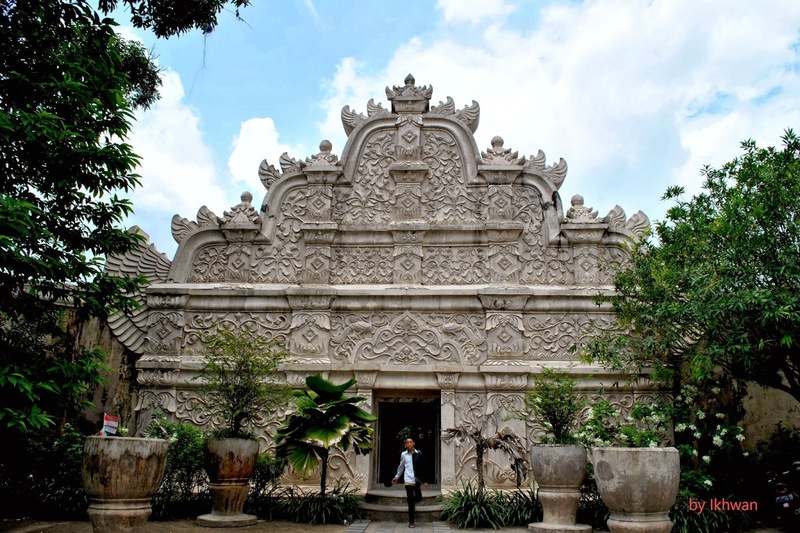 Kraton is an old castle which has now become a museum. There were mostly locals visiting this place. If you have short time, you may skip this one. Without wasting so much time at this place, we went to Tamansari. Tamansari is one place in Jogjakarta that I wanted to visit. It was very unique. According to the free guide who approached us (I realized later that he was not guiding for free), Tamansari was originally a garden for king. 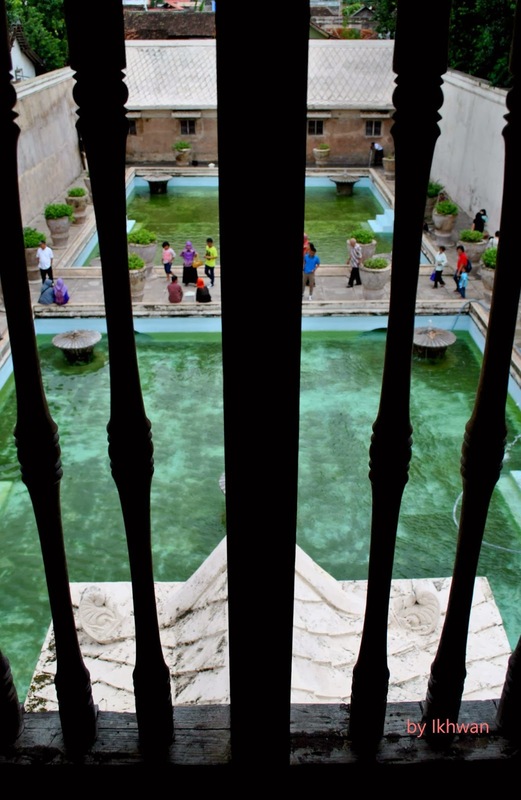 The garden was built on a man made lake called Segaran. 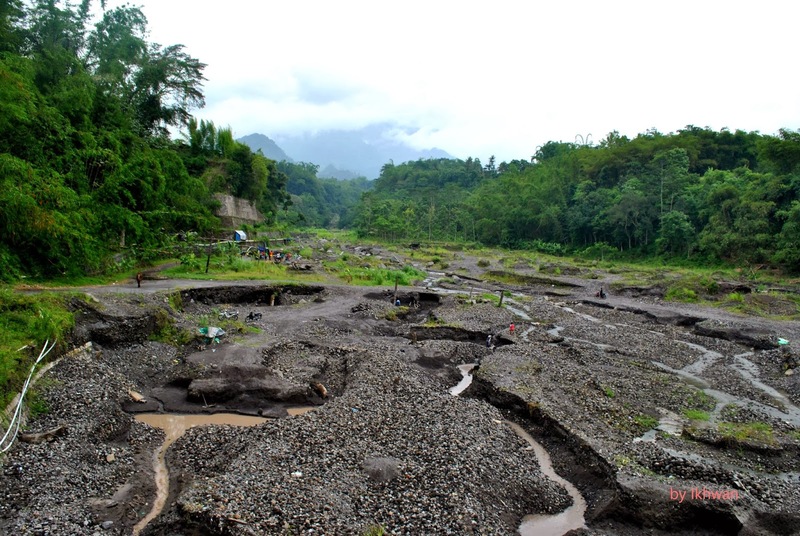 It was now drained and locals built settlements around Tamansari. The back door of the garden. We entered and exited at wrong doors. Kings at that time were lucky. They have a room facing to the pool. 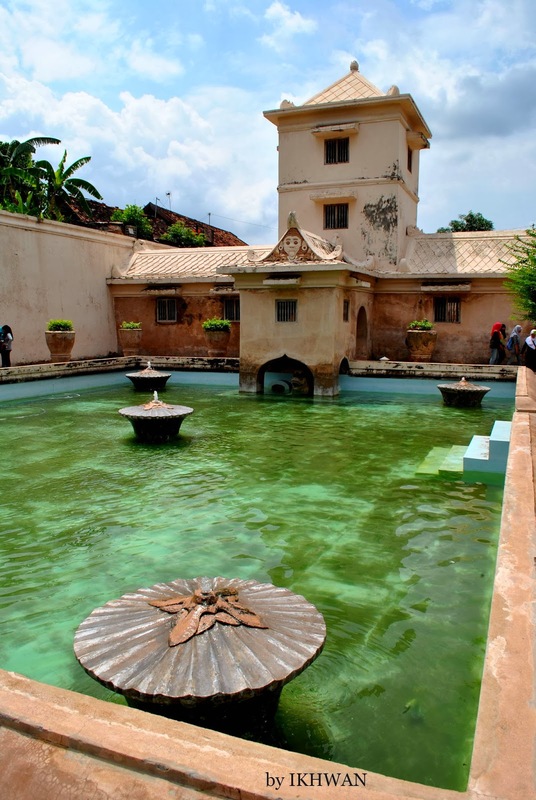 Legend has it that beautiful princess, suitors and concubines would bath together in the pool and King could watch or join them. I was imagining myself as the King in that era. The pool. Noticed the design and architecture. They are unique. 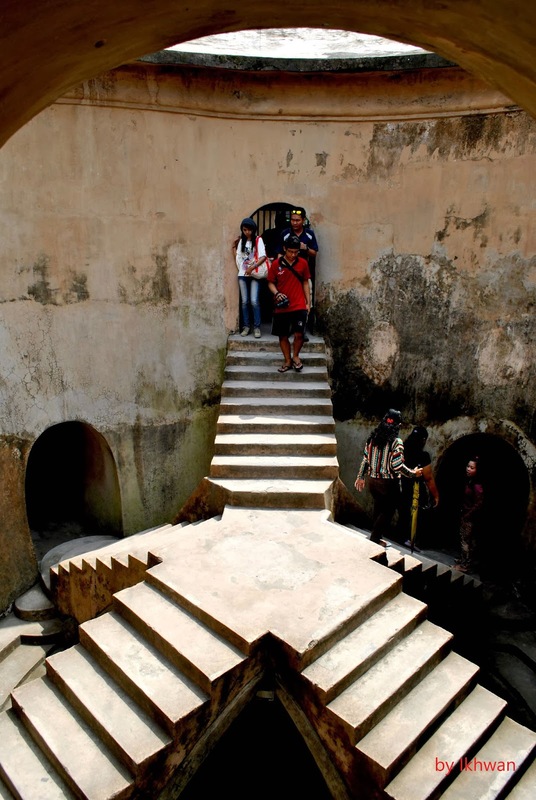 In Tamansari, there are mosque, resting places and also underground tunnels for the King to escape if they were attacked. How elaborate, right? 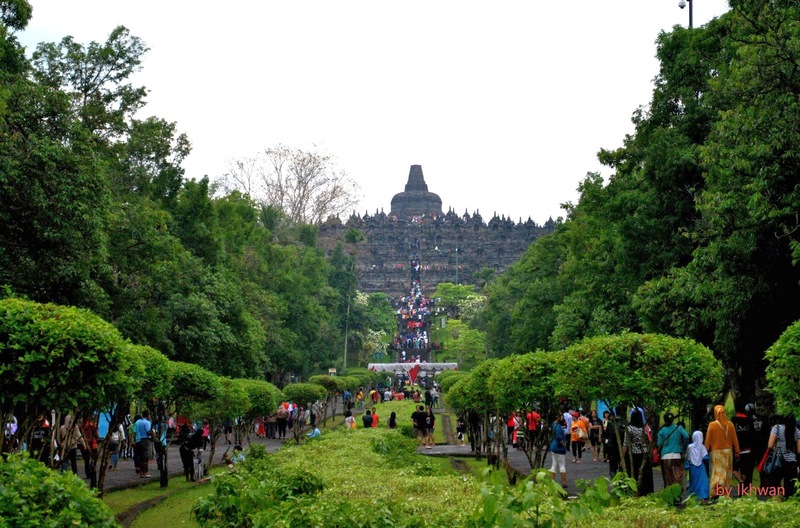 For your info, Tamansari is listed by UNESCO as tentative World Heritage Site. This is located near mosque. The five stairs represent five Islamic pillars. It was already afternoon by the time we completed our visit in Tamansari. We headed straight to Borobudur. 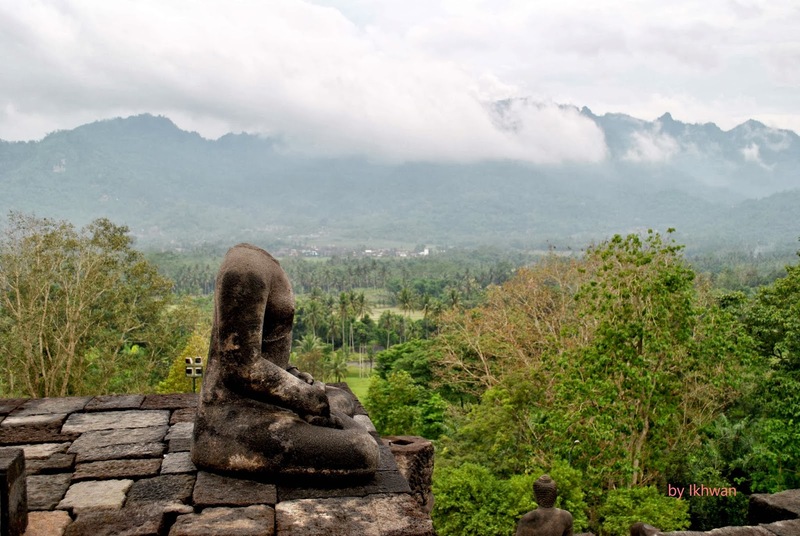 I’ve always wanted to see Borobudur live. This would be the time. The journey took about 2 hours with traffic congestion. It was raining throughout the journey and I got so worried that the rain might not stop. Fortunately when we arrived, the rain had stopped and it was quite refreshing to visit Borobudur in cloudy and cool weather. Be careful with the street vendors. They would persuade and follow you until the entrance. Unfortunately for oversea tourist, we have to pay triple the price of local admission fee. We should have followed Roy’s advice to not let them know we were Malaysians. 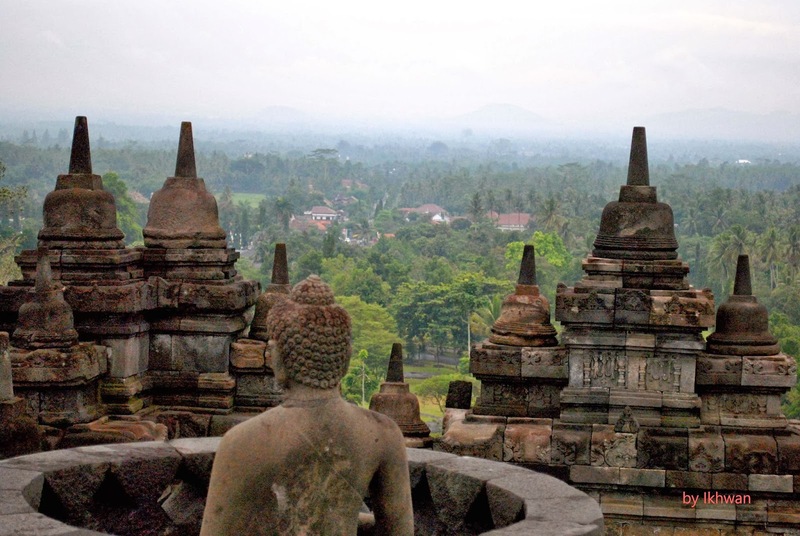 I did not need guide because in high school, we learned a great deal of Borobudur history. In summary, before Islam arrived in Java, Hindu was the main religion. There are 9 levels. Each level represents different meaning and as you go higher up, it shows you are getting close to Moksya (saint-level). Borobudur is definitely a geometrical wonder. The builders/designers really appreciate and adopted symmetry. Headless Buddha. The head fell due to earthquake, I think. We returned to Jogja and felt really tired after a long day. Before we headed back to the inn, we had dinner at Sambal SS. A restaurant chain which then become a must visit restaurant to have dinner safely throughout the road trip. On the third day, we dedicated the day for Merapi. Unfortunately, the weather was not that accommodating. We should be blamed too as we left inn by almost afternoon. The drive was not that short too. 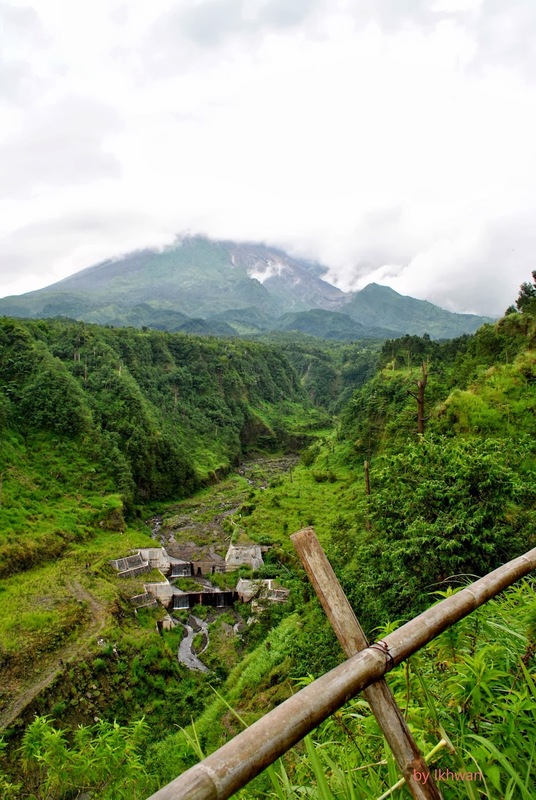 It took us more than 2 hours to reach Merapi. A huge wash that is filled with volcanic rocks. There were locals mining the volcanic rocks. Merapi summit was non visible due to thick clouds. Fortunately, there were still jeeps available for tour. Unfortunately, the summit was covered by thick clouds. The Lava Tour was quite expensive but that was probably the best option to go up besides hiking of course. Not long after we began the tour, the tour changed into Rain Tour as heavy downpour occurred. Safety first guys. Most of the jeeps do not have seat belt. 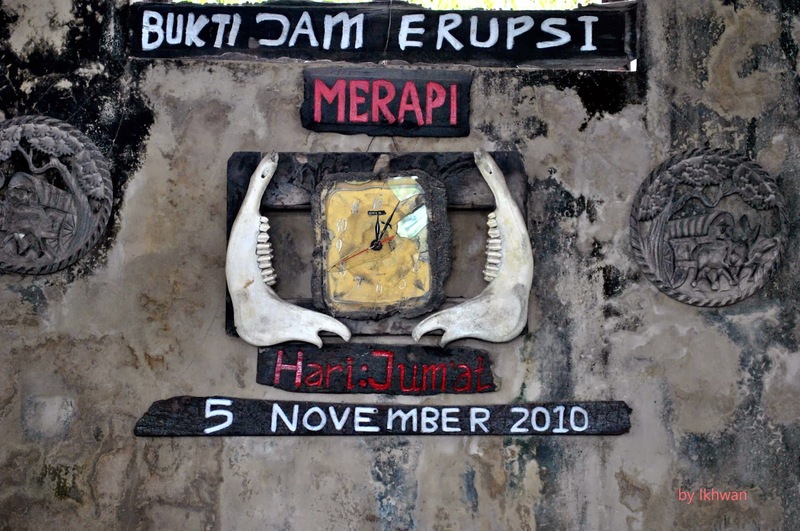 The clock that shows the time of the last eruption in 2010. 353 was killed. I feel bad because they used tragedy as part of tourism. However, this is probably their ways to gain income. 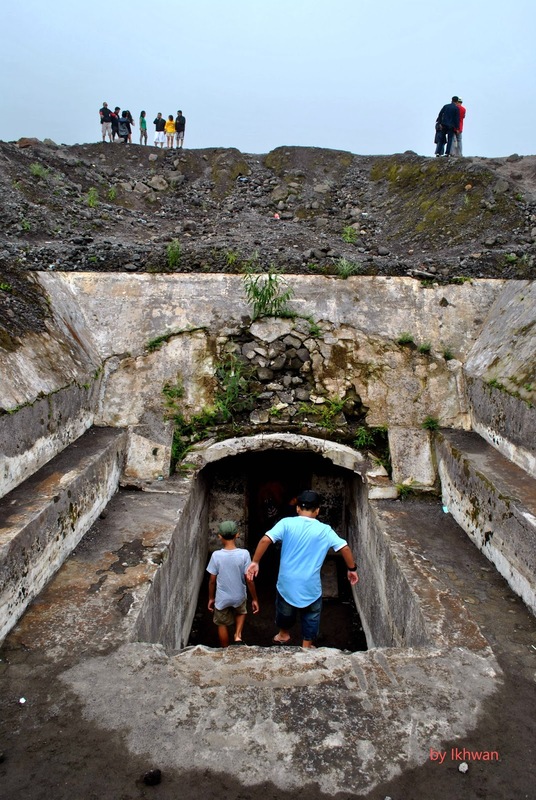 The bunker for them to hide during eruption. The journey was a full day journey but we managed to stop at Jogja central station which has Dutch influence in the architecture. On the last day in Jogjakarta, we went to Prambanan. 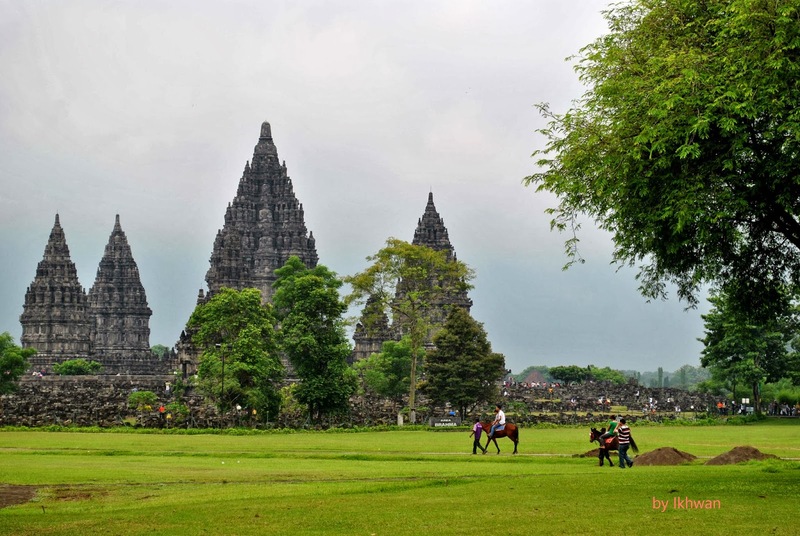 Prambanan was a little bit further from town, around 1 and half hour journey. 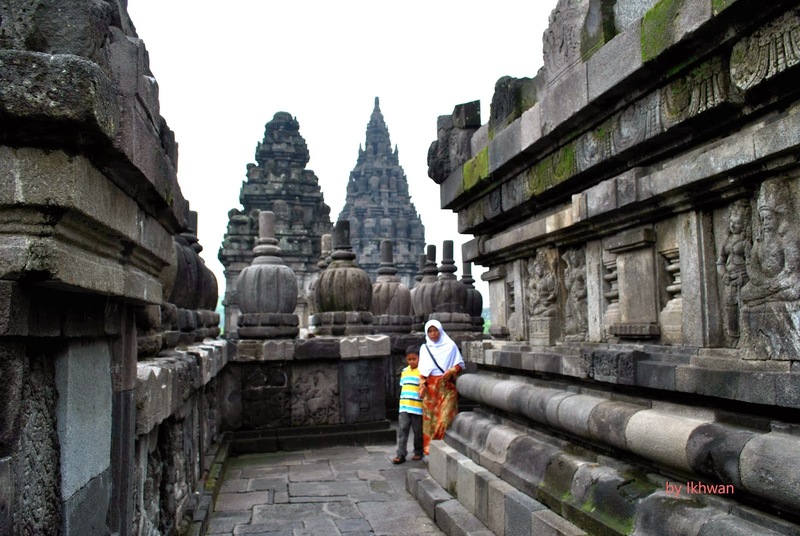 Prambanan is really unique and beautiful. The temple was built in a huge green field. 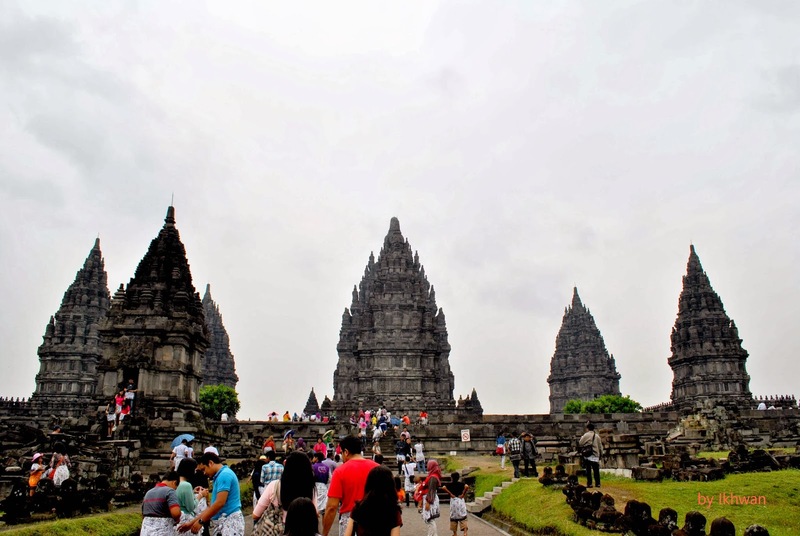 One of the most popular legend has told that Prambanan was built by a rich man/prince after he was challenged by a princess to build 1000 temples in one day, ends by sunrise. He almost successfuly built 1000 towers but failed because the princess cheated. She asked her people to build huge fire as to fake a sunrise. She really did not want to marry the man though. Heading towards the majestic structures. Lone structures in a green field. Amazing view. Playing hide and seek with the locals. After Prambanan, we continued our long journey (about 8 hours) to the East Java or Probolinggo. We made few stops but Surakata captured in my memory the most. There was nothing much there but there is Sambal SS restaurant in the city. So, my hungry tummy was filled with good, spicy food. Total number of days in Jogjakarta is 3 and half days including the day we arrived in Jogja.